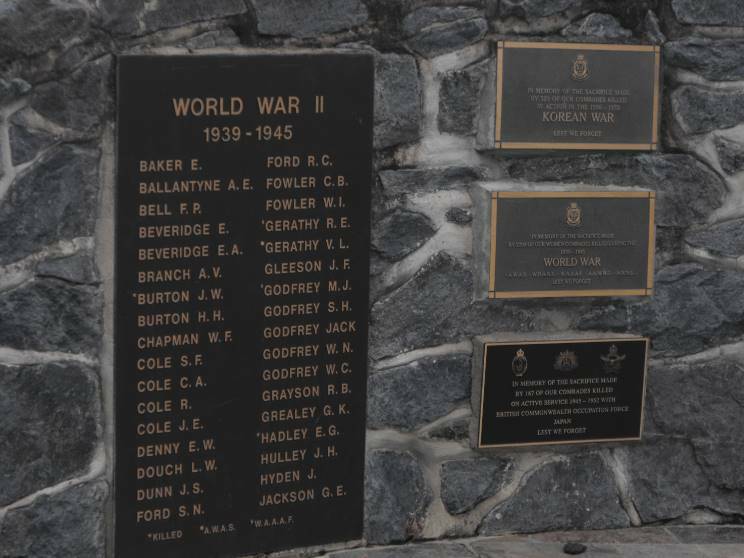 The Merimbula War Memorial located in Rotary Park on the western shore and overlooking the entrance to the Merimbula River and Lake within the coastal town of Merimbula in southern NSW. 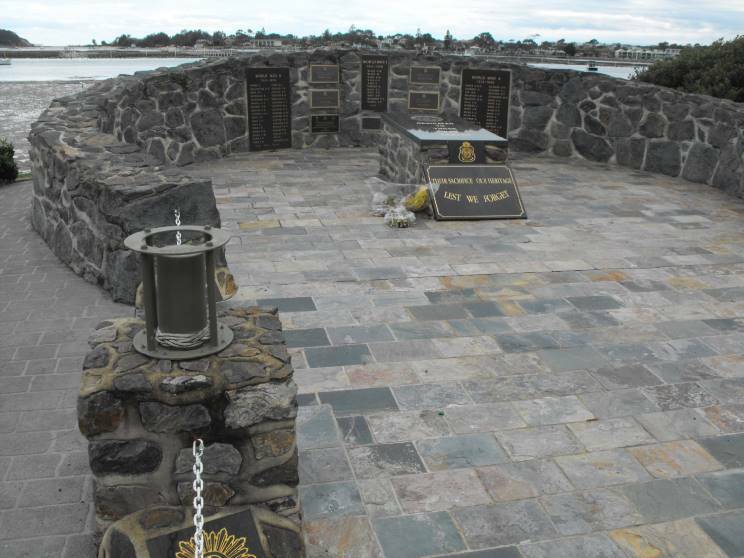 The memorial is contained within a semi circular tapering stone wall with a flag pole and garden on the northern side and a 25 pounder field gun on the southern side. 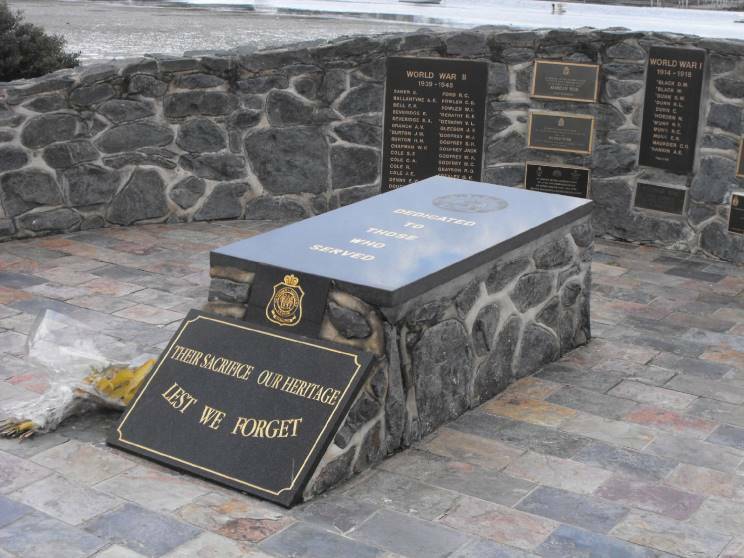 Plaques commemorate those who served in conflicts from World War One through to the present. The center plaque and stone. 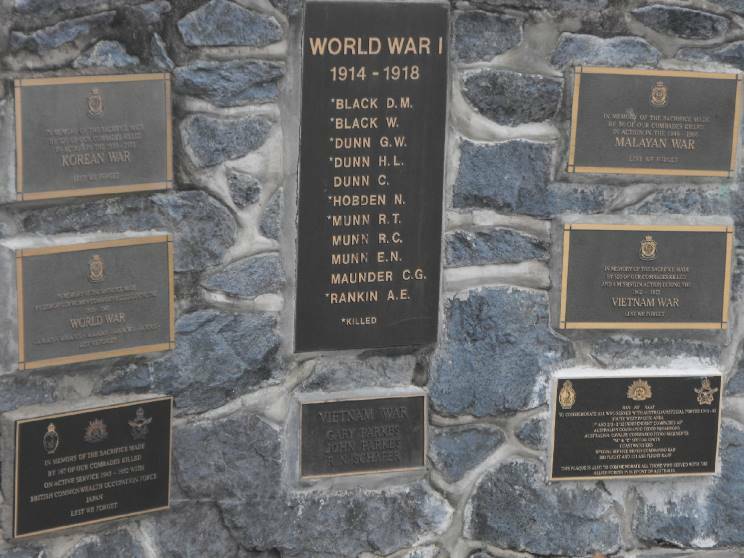 Some of the dedication plaques, on the left from top to bottom; Korean War, Women of World War II, British Commonwealth Occupation Force Japan 1945-1952. Center World War I, Vietnam. On right from top to bottom; Malayan War, Vietnam War, Australian Special Forces 1941-1945. To the left one of two plaques for World War II. 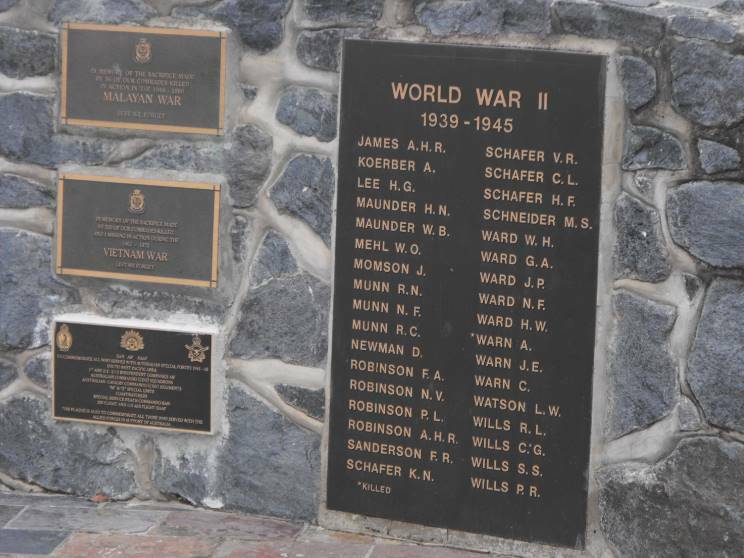 To the right the second plaque for World War II. 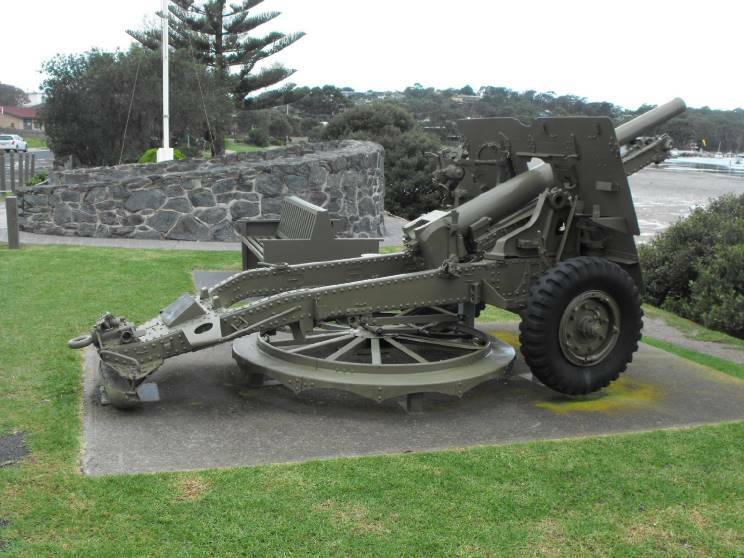 A 25 pounder field piece.